I don’t remember when I first met Todd Huffman, but for the longest time I seemed to run into him in all kinds of odd places, but mostly in airport waiting areas as our nomadic paths intersected randomly and with surprising frequency. We don’t run into each other in airports anymore because Todd has settled in San Francisco to build 3Scan, his startup at the nexus of professional maker, science as a service, and the industrial Internet. My colleague Jon Bruner has been talking to airlines, automobile manufacturers, and railroads to get their industrial Internet stories. I recently caught up with Todd to see what the industrial Internet looks like from the perspective of an innovative startup. First off, I’m sure he wouldn’t use the words “industrial Internet” to describe what he and his team are doing, and it might be a little bit of a stretch to categorize 3Scan that way. But I think they are an exemplar of many of the core principles of the meme and it’s interesting to think about them in that frame. They are building a device that produces massive amounts of data; a platform to support its complex analysis, distribution, and interoperation; and APIs to observe its operation and remotely control it. Do a Google image search for “pathologist” and you’ll find lots and lots of pictures of people in white lab coats sitting in front of microscopes. This is a field whose primary user interface hasn’t changed in 200 years. This is equally true for a wide range of scientific research. 3Scan is setting out to change that by simplifying the researcher’s life while making 3D visualization and numerical analysis of the features of whole tissue samples readily available. At the heart of the system is an illuminated diamond knife blade capable of making one-micron-thick tissue slices coupled with a scanning objective. A cubic inch of tissue, such as a mouse brain, sliced into one-micron slices will take seven hours to scan and will produce about a terabyte of data. The design of the knife is licensed from Texas A&M brain networks lab where Todd spent some of his graduate student years, and 3Scan is building it into a cost effective platform by taking advantage of technologies from other industries. For example, the tissue stage was adapted from an aerospace application, and the first version of their sample viewer is based on OpenLayers, an open source geo-spatial platform. Also, the cost to store and process the data has dropped by multiple orders of magnitude since Todd first started working on it in 2005. What makes this interesting from an industrial Internet perspective is the way they are combining an instrumented machine (the microscope) with powerful data analytics and remote access to enable a service. The samples are volumetric and high resolution (1 cubic micron) instead of the traditional 2D slides prepared for microscopy, and because they are digital they are available for 3D viewing, algorithmic inspection, categorization, and analysis as well as traditional 2D viewing. This is a very complex “thing” that is getting on the Internet in a meaningful way, producing data, exposing APIs, and allowing for remote interaction and control. Researchers will be able to follow their sample through the entire process from receipt to scan to the application of analytical algorithms. They won’t have to develop the competencies to run a machine that would otherwise have to be dumbed down for grad student deployment, and they will be able to add their own algorithms into the processing pipeline without having to manage the analytical infrastructure. 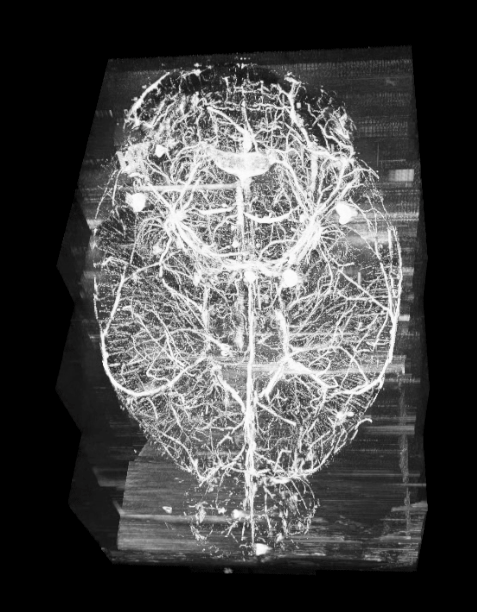 Longer term one can imagine the data and analytical pipeline breaking away from this single device and serving as a general analytical platform for a range of machines that provide different forms of volumetric imaging. Or, a single sample might be processed by different machines across different scientific service providers (i.e. imaging, DNA sequencing, etc.) and because each of them is operating as a network service rather than as a standalone device, the range of analytical methods can continue to grow. Talking to Todd I felt like I was getting a glimpse here at the future of connected instruments. This is a post in our industrial Internet series, an ongoing exploration of big machines and big data. The series is produced as part of a collaboration between O’Reilly and GE.